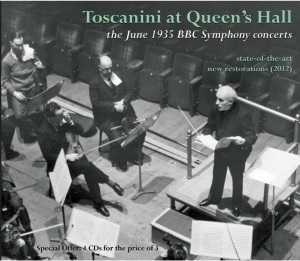 "By the autumn of 1934 terms were agreed upon for Toscanini to conduct four broadcast concerts during the third London Music Festival in June 1935, with the BBC Symphony Orchestra, founded in 1930, trained by Adrian Boult, and widely recognized as Britain's foremost ensemble. Previous guest conductors included Richard Strauss, Mengelberg, and Koussevitzky; Toscanini's son-in-law Vladimir Horowitz had been a soloist with the orchestra and his positive experience had no doubt contributed to the Maestro’s decision to accept the invitation. 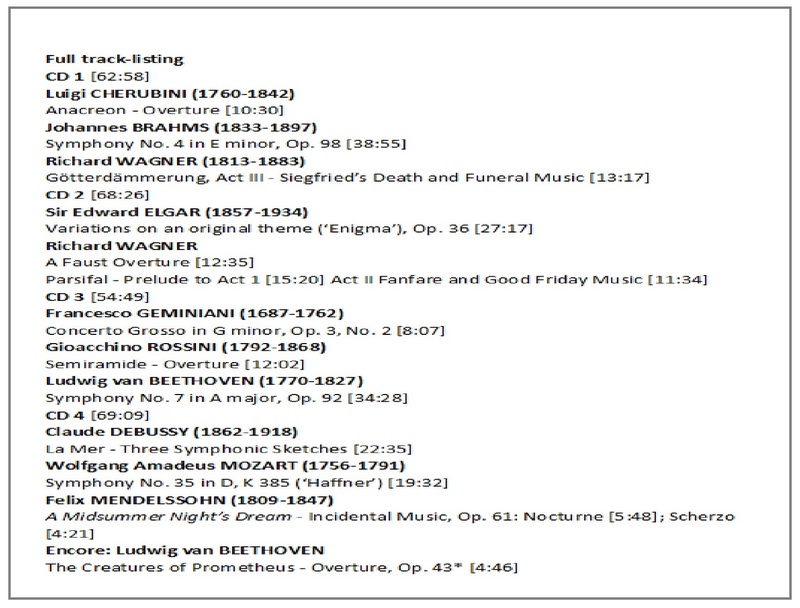 After the first, long sold-out concert on June 3, the following day’s critics were unanimous in declaring Toscanini to be pre-eminent in his art. 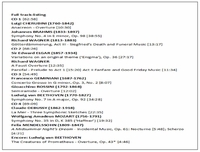 There were four programs, each given twice (with slight changes), and all recorded ‘on spec’ by HMV; eventually all works (except a Geminiani concerto, issued here for the first time) were released on LP or CD, but have been unavailable for many years, and are now released in greatly improved sound."